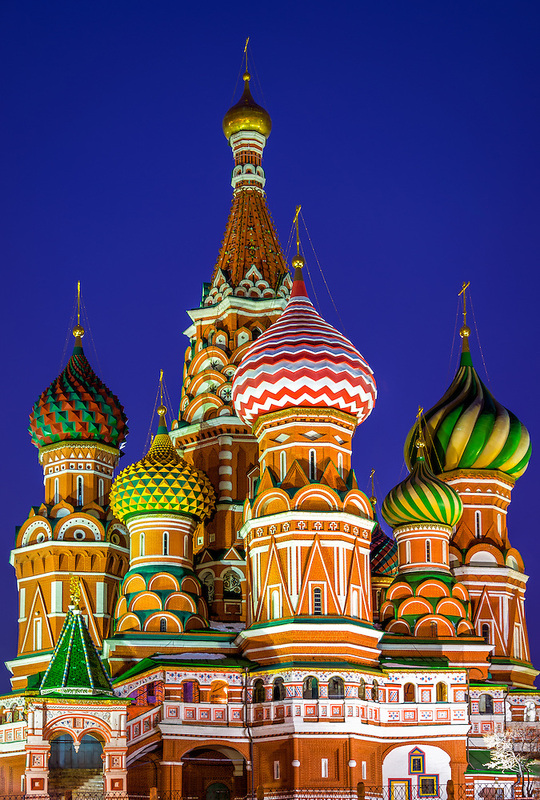 Here are some more photos made in Moscow back in March, here is a link to the original post. 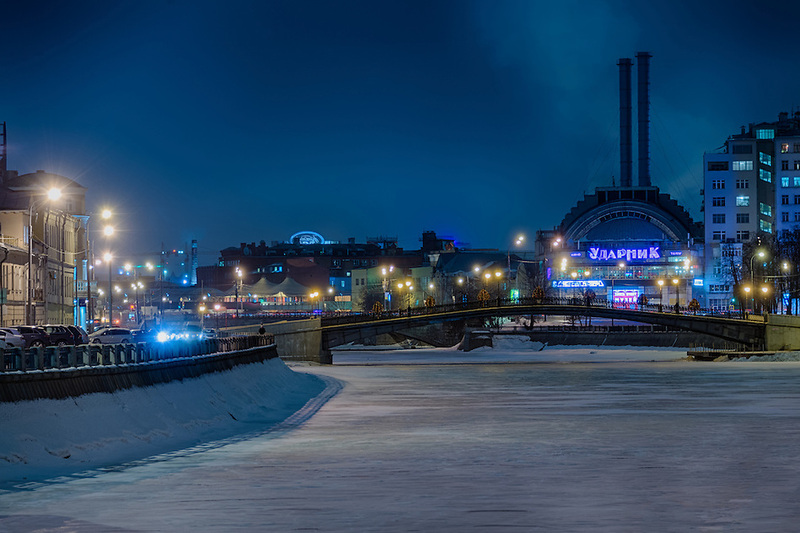 March was colder than I thought in Moscow, I mean freaking cold, and specially when the sun was down…, a non-photographer friend traveling with me encouraged me to go out one night, he literally told me… “that’s why you came here right? go out and take those photos…” as he decided to stay in the hotel… I don’t regret doing it, but I clearly remember going out and freezing to death!!! It was difficult to concentrate in was I was doing because it was windy as well and that didn’t help, anyways… here are the results of that night walking around the Kremlin. 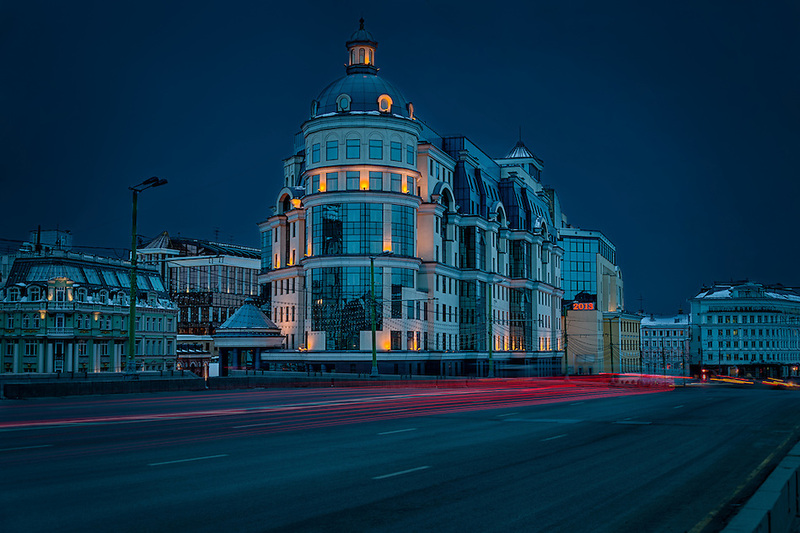 View of building at night in Moscow, Russia. 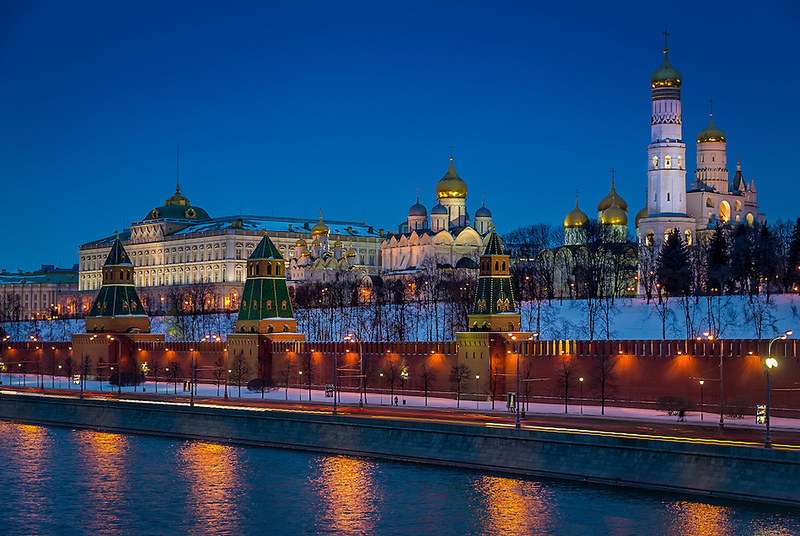 Close up view of Kremlin from the banks of the Moskva River in Moscow at night. 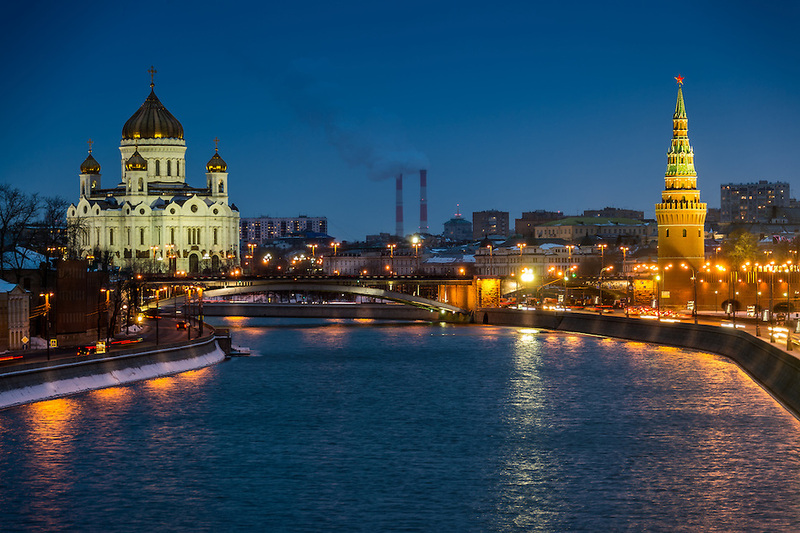 View of Downtown Moscow and the Moskva River circa 2013. That’s all for now, more coming soon…!! !